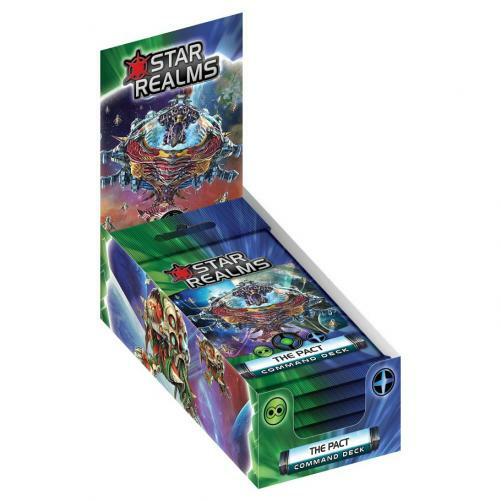 Fill in your details below and we will let you know within 24 hours if we can get Star Realms: The Pact Command Deck to you with haste! Play as Overlord Newburg. Watch your firepower and authority grow as your Trade Federation and Blob forces purchase and plunder their way through the galaxy! Battle against another Command Deck, or play as a raid boss taking on two players using standard personal decks!